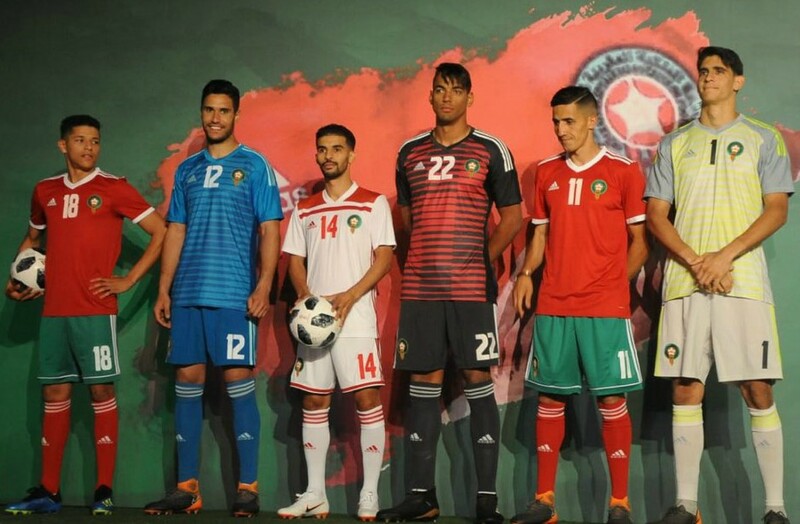 hese are the new Morocco World Cup shirts 2018, the Moroccan national team’s new home and away kits for the 2018 World Cup in Russia and other international fixtures during the 18/19 season. 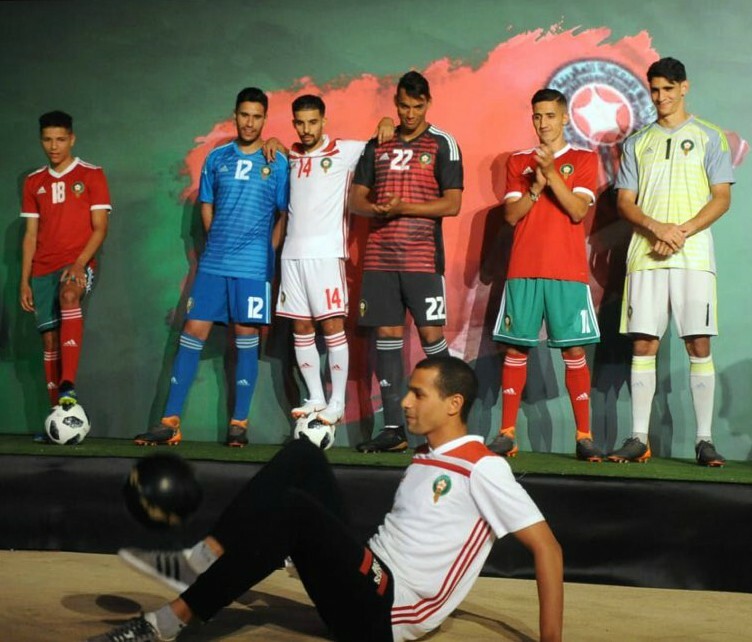 Made by Adidas, the new Morocco WC uniforms were officially unveiled on May 24, 2018 in a function in the capital city of Rabat. Morocco are in a tough World Cup group alongside Spain, reigning European champions Portugal and Iran. This is the Atlas Lions’ first WC appearance in two decades, having last appeared in the edition that took place in France in 1998. The new Morocco home and away World Cup shirts seem to be rather simple creations from Adidas, not very unlike what the manufacturer have gaven to the Iranian national team. S04 star Amine Harit and his teammates are here seen modelling the new Morocco kit.